Childcare-Finance.com is a resource center for childcare business operators to learn more about financing available to support the development, acquisition or expansion of a childcare business. Charles H. Green is a seasoned small business lender with 40 years' experience in funding the small business sector. He serves as Senior Vice President/Business Development for Harvest Small Business Lending, LLC with a concentration in childcare center lending. Over the course of his career, Green founded and served as President/CEO of Sunrise Bank of Atlanta, and additionally served as a Director for several companies, including as Trustee & Chair of the Atlanta Medical Center, a 760-bed for-profit hospital for six years. He organized the Small Business Finance Institute, an online training enterprise for business lenders that offers rudimentary lending tutorials, and contributed heavily to its course curriculum. His teaching experience also includes the Stonier Graduate School of Banking, Graduate School of Banking at Wisconsin, ABA Graduate Commercial Lending School, as well as online programs for several private enterprises. 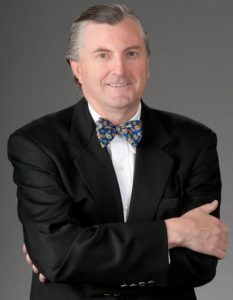 He has written extensively about business financing, including Banker’s Guide to New Small Business Finance (John Wiley & Sons, 2014), Get Financing Now (McGraw-Hill, 2012) and the bestselling The SBA Loan Book, 3rd Edition (Adams Media, 2011). His articles concerning banking and small business capital formation have appeared in dozens of publications. Green earned a B.S. in Finance from the University of Alabama, diploma from the Stonier Graduate School of Banking, and completed Executive Education at Harvard Business School. Over the years he has been an information resource on the topic small business lending and capital formation for a variety of media outlets. He also served on many non-profit boards, including as organizing Chair for Georgia Resource Capital (a certified development company), an organizing committee member and Chair for Georgia Lenders Quality Circle, and the Georgia affiliate of micro lender ACCION. He was named the 2005 Financial Services Champion by the Georgia District of the U.S. Small Business Administration. He is an associate member of the Georgia Child Care Association.